Chloe Quinn was born in Northern California right in the heart of what is known as the Silicon Valley. There she grew up with her younger sister Alex. Though she was raised in California, Chloe spent most of her summers either in Hawaii, New York, Texas, or Nevada. She still currently lives in California a few miles away from the beautifully eclectic city of San Francisco. Chloe graduated from a high school located in the south part of San Jose. After high school, Chloe decided to attend a junior college where she graduated with her AA in Humanities. She then went on to attend UC Riverside where she majored in Communication and Behavioral Studies. One thing Chloe enjoyed while growing up was volunteering at her local hospital. During her life she continued to be in service to others. She went on several missions over the years. On these trips she found herself, along with the group she went with, building structures for children in less fortune countries in order for them to be able to receive an education, get medical attention, and attend a house of worship, among other things. Chloe loves to write. This love was sparked for her during her tender years as a child from hearing bedtime stories at night. She loved how someone took the time to sit down to write the dramatic tales filled with brave heroes and strong heroines. 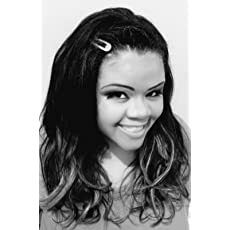 She is thrilled she is able to have the privilege of writing stories that she hopes people will enjoy and ignite their love for reading like the stories Chloe heard when she was a child did for her. Plus, I’m not only a partner in the Winterviews, I also took part in the interviews. Check out my interview here. Long time I know. First things first: HAPPY NEW YEAR TO YOU ALL! Wishing for you all to have happiness and love in this new year. Expect a lot more from me in this new year. I have been working like crazy completely series, writing one-shots, writing collections of short stories, and so much more. 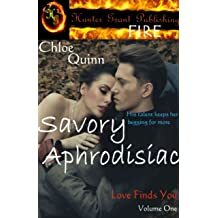 Hey fellow BookWorms Chloe here. So if you didn’t see it above, I came to announce that Romance is coming. Yes, this statement is in honor of Valentine’s day heading our way. But it is also to announce the upcoming releases that I have coming your way in 2017. I will be giving you the first look at my new covers very soon. Keep checking my press page to let you know where you will be able to find them. BWs the wait for the cookbook is over. 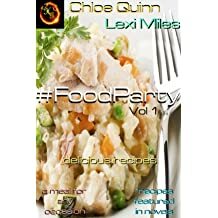 You can now pick up #FoodParty authored by me and author Lexi Miles. That’s all for now BWs. So today’s journal is about the #WIPJoy challenge hosted by Bethany A. Jennings ( @simmeringmind) on twitter. What is this you might ask. Well let me just show you exactly what it is. And here are the first three questions with my answers. TELL US ABOUT YOUR WIP. WHAT STAGE ARE YOU AT WITH THIS PROJECT? DESCRIBE YOUR WIP WITH 5 VERBS. I am proud to announce the arrival of SAVORY APHRODISIAC. 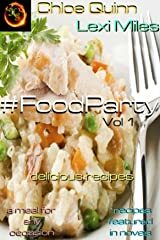 It is now available for Pre-Order in the e-bookstore on Amazon. And if you are the paperback type of person, the hard copy of the novel will arrive (like the e-book) in stores September 2016. Click here to get your advance copy of the e-book. Oh and while your there, pop over to my new Amazon Author Page. Hope you enjoy reading every spine tingling word. Did you see it? On the excerpts page. That’s right… Daphne has arrived (well at least her first chapter). This one is found under Hunter Grant’s Sweet line. Why you might ask? Though I keep it hot, it is a story that features a very sweet happily ever after type of love. I think if you like sweet romances this one will be for you. There is something new on the horizon for you guys. I don’t know if you spotted it on the Press Page, but there is a secret VIP room coming in November. More Exciting Details about this exclusive room will be released over the next few months. So keep a look out for them. Don’t forget to go and check out my interview for the Reading in the Sun event hosted at With Love For Books. My interview will be live August 14th. DON’T FORGET THE GIVEAWAY THEY ARE HAVING. YOU HAVE A CHANCE TO WIN STUFF!!! !